Author: Benison, C.C. Set In . . . Description: When housemaid Jane Bee accompanies the Royals on their annual Christmas jaunt to Sandringham, she believes she’s in for a bit of a snooze. Aside from her regular duties, there’s nothing much to do in the wilds of Norfolk, until the body of a woman turns up in the village hall—a woman who just happens to be a dead ringer for the Queen, right down to her glittering crown. While the royal bodyguards tighten their security and the police concentrate their efforts on a notorious animal rights group, Her Majesty bids Jane to do her own discreet digging. But when Jane learns the origin of the dead woman’s tiara, she finds herself suddenly unstitching an upstairs/downstairs tapestry of indiscretions going back fifty years. 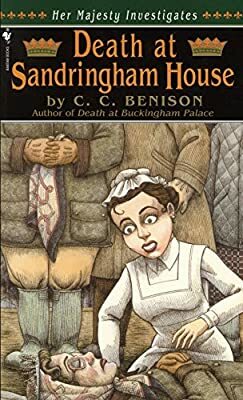 And then a second brazen murder occurs in the very heart of Sandringham House, and it looks like the coming New Year could be more horribilis than any yet.